Coil springs come in many forms but there are three common classes; Compression coil springs, extension coil springs and torsion coil springs. Regardless of which is used, coil springs must be designed to satisfy four operating requirements: Energy, Space, Environment and Service. Space is defined by the operating envelope, the area in which your coil springs will operate. In the case of a compression spring, this might be the hole into which the spring fits, the rod over which it operates, the maximum free length to allow cap threads to engage and a maximum solid length (though not the product of coils times wire size!). Coil spring environmental factors include heat, cold and corrosion. Pick a material to suit the environment in which the coil springs operate and you automatically choose a modulus of rigidity and a material strength. Finally, the intended service of coil springs helps to decide how much of that material strength you could or should use. Will your coil springs require service that is static or dynamic? Is the range of stress large or small? Is the life expectancy short or long? These questions help to decide what percentage of the ultimate strength to use for your coil springs. Mix these operating specifications well, put them through an effective computer design and analysis program, formulated specifically for coil springs, and you have a quality product. Remember that coil springs are formed, not machined. Material is forced into an unnatural shape, then heat treated or stress relieved where it changes shape again. Material diameter, spring diameter and spring length are all subject to change and need to be toleranced in such a way as to get the best fit for your operating requirements. This is what you are paying for, quality coil springs. 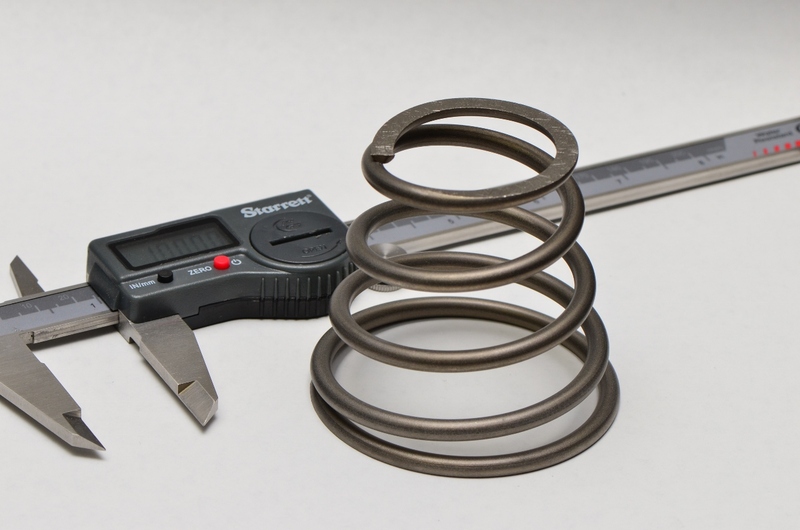 Spring Houston specializes in the manufacturing of coil springs Contact Us for a Quote.